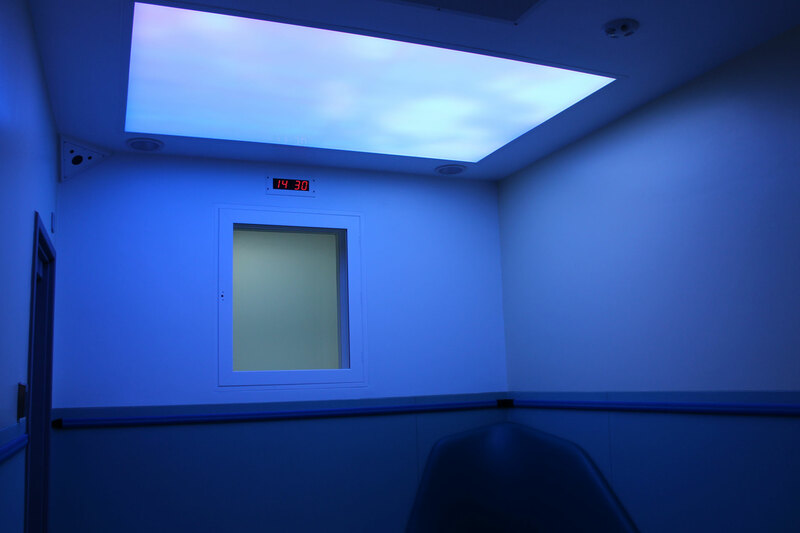 A bespoke lighting feature by The Light Lab, installed in the ceiling of a patient assessment room in the A&E department of the newly refurbished Charing Cross Hospital, has been shortlisted for the design in mental health awards 2019 – in the ‘Art Installation of the Year’ category. 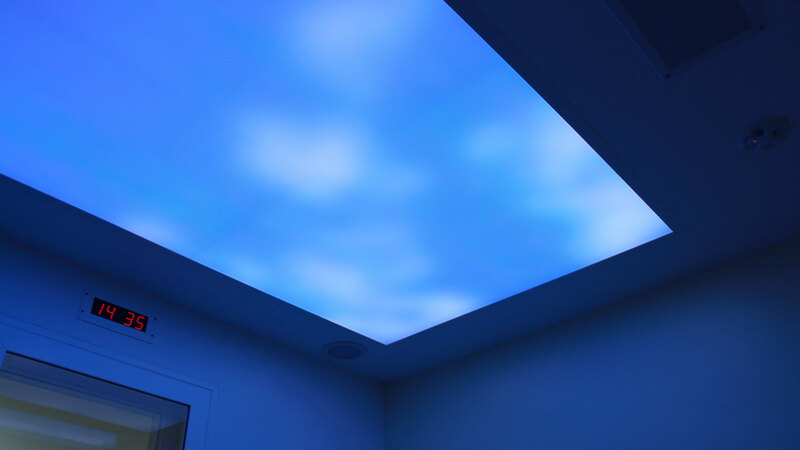 The installation, entitled ‘Wellbeing in Crisis’ is a backlit high output, low resolution ceiling light feature, comprising of different scenes inspired by nature, including clouds and the moon in the night sky, all programmed & controlled by the latest SPI technology. 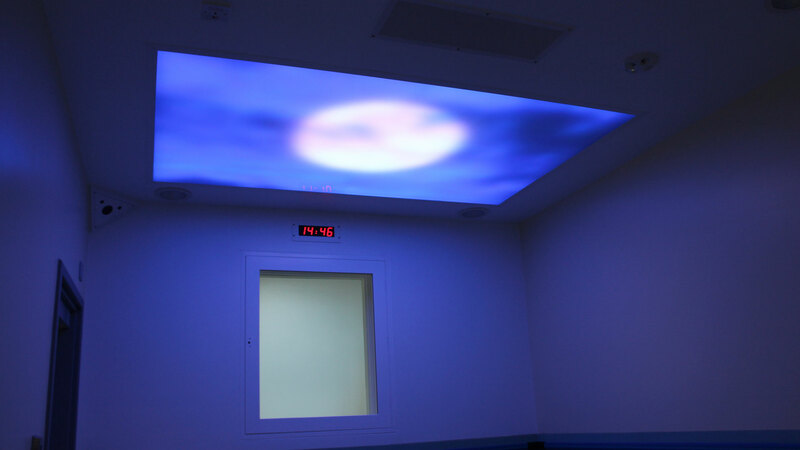 Working to an initial design concept by researcher/architect William Wang, in collaboration with clinical consultant Dr. Barbara Cleaver on research and improvements of mental health patient pathway – the intention behind the lighting is to allow a gentle stimulation; to create a calming environment for patients and make the space less clinical and institutional. 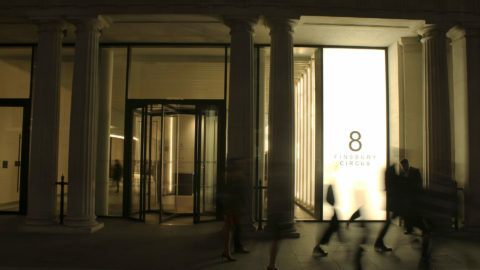 The Light Lab created the bespoke installation, alongside specialist visual programmer Hugh Mitchell-Dawson, who helped design the scenes that appear across the lightbox during the course of the day. 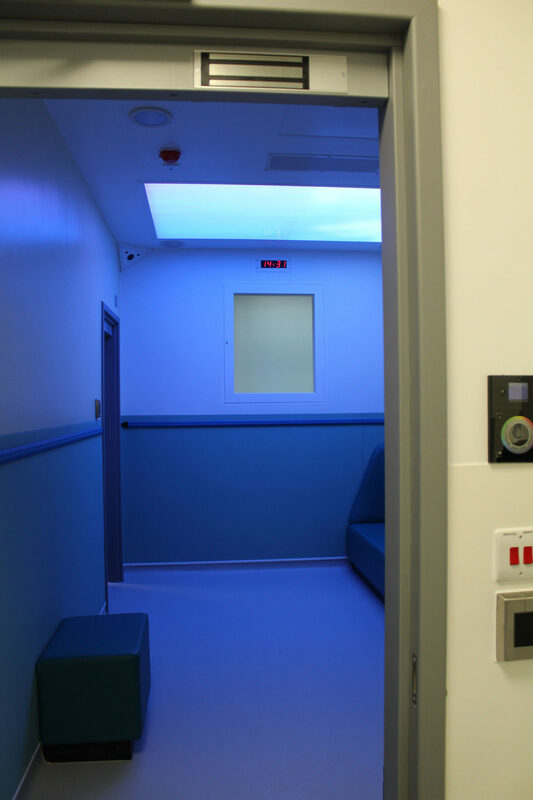 The feature is a prime example of how bespoke lighting is being used to affect mood and create a sense of calm, across the mental health industry, with research showing that lighting and color in general have repeatedly shown to have the ability to influence someone’s mood; both at a biological and psychological level.